The new Ruger SR-762 brings new life to lightweight larger caliber rifles but brings in some old confusion, like what is the difference between 308 Winchester and 308 NATO(7.62x51mm) so we will first address this confusion before we talk about how Ruger did a great job bridging 60 year old “gap” in technology. ( you will get the pun in a minute). NATO ammo has much tighter spec than 308 Winchester(commercially available ammo) The brass is thicker and the head space tolerance doesn’t sway as much as over the counter ammo. Its this head spacing that is the issue and its the way a military weapon is designed vs a commercial rifle that makes the difference. The SAAMI (Sporting Arms and Ammunition Manufacturing Institute) You will hear the phrase go/no-go gauge and this determines the head spacing of the ammo to bolt face when the chamber is closed and the number one reason your friend bubba in his garage shouldn’t be building you an AR-15. We have taken a number of these “home builds” in on trade over the years and more people are not missing fingers and faces is sheer luck that brass tends to fail before the bolt most of the time and the constantly jamming weapon keeps the person counting to 10 with ease. YUP that chicken scratch is the official document. 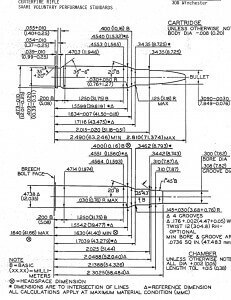 On commercial 308 Winchester the headspace Field reject spec(the point where if you go one more 1000th you risk injury is 1.638 The NATO reject limit is 1.6455 failure rate which is 16/1000th beyond a 308 Winchester GO spec. This is because NATO brass is so much thicker that allows for a higher failure rate before a gun blows up in the face of the shooter. Now NATO RIFLES ie old Navy Garand M14’s and M-60’s CAN HAVE a higher headspace but they don’t need it but when you buy one of these old guns you should have it checked before you put over the counter ammo into the chamber or just shoot the cheap surplus ammo that was designed to go into it. So what we should of learned here is that NATO ammo can go into ANY 308 Winchester rifle but you need to be careful putting 308 Winchester ammo into a gun designed for 308 NATO. So how does Ruger resolve the NATO VS Commercial problem? 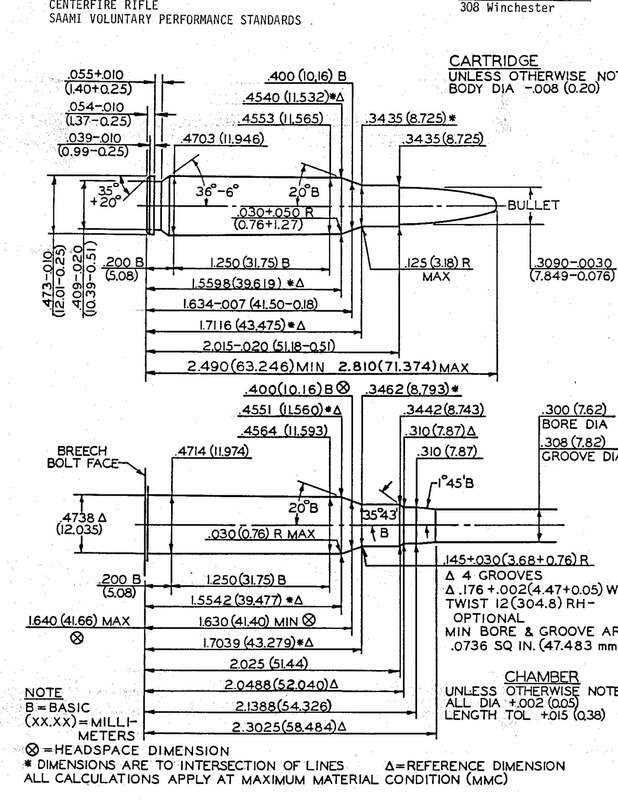 Its the sweat spot of a 308’s head space 1.631-1.632 with 1.634 being NOGO for Winchester. Its in range for both types of ammo and where you should ask your gunsmith to set your older m-14’s and Naval Garand to. The reality is Ruger should of chambered it for 308 Winchester said that and not confused a market that is drifting away from old military surplus rifles due to laws banning their re-import. Its seems liberals would rather have high quality American made weapons in the hands of a uneducated communist rather than in the closet of a FBI background checked responsible American. Seems irresponsible to me. So why are we talking about brass and not the gun? 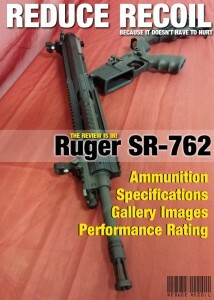 The New Ruger SR-762 has had a few reviews and I have read them and can’t believe what I compete against. Writers get guns at a discount, they are not free and feel an obligation to say something, if you know what your saying is not required by the manufacture. And let me add my list that not ONE OF THE OTHER GUYS MENTIONED. First the non-free floating barrel, the rifle doesn’t need it because of the gauge and length of the barrel. The thicker and shorter barrel allow for very stiff barrel, a 26 inch bolt action would need a full bull barrel to achieve same rigidity and float to keep its heat from moving from scope mount postion, since this is not a bench rest rifle I am not sure what the other writers are ignorant of exactly. How metallurgy works or what it was they were reviewing? None of them found that there was “shooting” problem they just “wanted” it to be something it wasn’t as far as I can tell. Ruger took a different approach in solving barrel flex in a larger caliber weapon and in doing so the gun balances very well. We shot side by side with a Rock River AR-10 to give us perspective to the guns differences. So for this we gave it better handling ratings swinging from target to target just because the design has a very nice balance to it. One of the nicest things said about the Ruger by other writers was the ability to adjust the piston pressure to effect recoil. I suppose that is one use for it, not the proper use, its FUNCTION is to prevent short stroking because the guns headspace is in a sweat spot and not in an optimum spot for your particular ammo. (see that is why we spent all that time talking about headspace) You will find that you can take commercial ammo and try to “hand feed” a round into the chamber and the poor tolerance of commercial ammo will not fully seat by hand. This is the AMMO that is the problem not Ruger when you short stroke ammo like this, the extraction can be harder slowing down the bolt and not allowing to come back fully to pick up the next round, thus the gun jams. The M-14 overcomes this with the weight of the bolt to provide inertia, Ruger’s lighter bolt requires proper compression of the spring. So we adjust it to FUNCTION properly not for the recoil that we are seeking to tolerate. If you want to provide a recoil fix use Federal Match Brass or Lake City Brass for 308 Winchester or stick with a NATO round and you can tune for felt recoil with fewer misfeeds. You see this when I loan people my Beretta that is recoil operated. 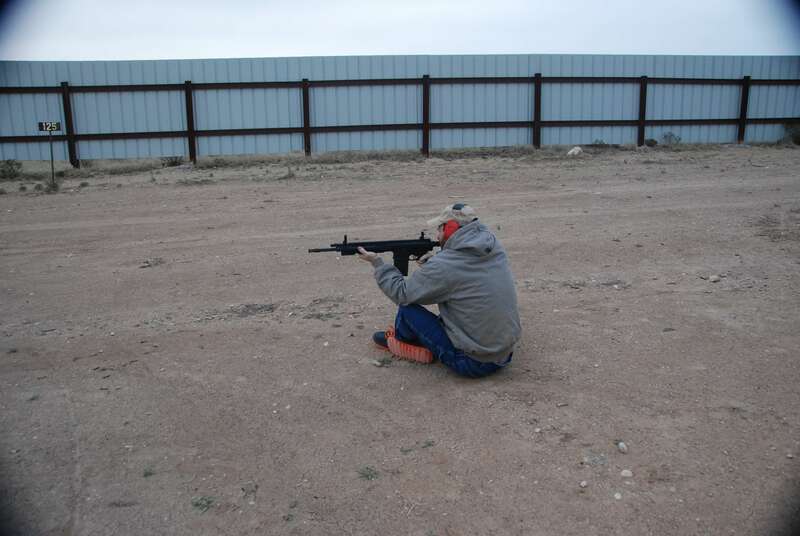 The recoil is different and it will punish you a bit but it will fire every time that’s why its a combat weapon its not a Saturday morning let the kids shoot clays gun. You buy a Remington 1100 for that. Different gun for a different purpose if that makes sense, this is why these statements felt like some were spreading ignorance. So while tuning the Ruger SR-762 I tuned for a crack having the bolt pop back to the stop but not hammer it and you will feel the difference. Once we achieved this the muzzle lift changes to awesome. The Rock River when it recoils it goes up and to the right almost 3 inches of muzzle lift. The Ruger was straight up and was sub 2 inches. So we tried not to complain because if your used to shooting the AR you have muscle memory on how to bring it back to target fast and with the Ruger we over corrected and this was a seasoned shooter problem and again not a gun issue. In fact the Ruger is a good muzzle break to being sub half inch muzzle lift and I expect to see this modification in some who use it for competition the Ruger definitely has the ability to be a leader in Iron Man competitions if the gun is tuned to shoot and not tuned to be gentle to the shooter. I would suggest for an event like this the use of a “mule kick”(mercury recoil dampener), hey I have arthritis in my shoulder and the crack needing to be fast and accurate can aggravate it. I still think its different than the AR not better or worse. I liken it to an IPSC pistol where you turn UP the pressure to get better shot to shot accuracy where the novice thinks to drop the pressure to reduce recoil. 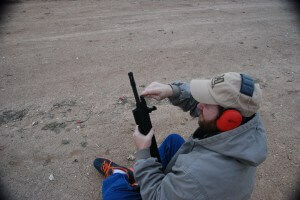 Instead the hard fast slide back prevents muzzle rise keeping the shooter in control shot to shot. Also I get it using the bullet to make the adjustment has a “military feel” but I am not longer in the military and there are not thousands of free rounds laying around for me to use as a tool. To go from single shot to semi auto probably should be a faster function than stopping swinging loaded gun around for next shot. I do not see the after market making a slap bolt (off hand bolt that lets you slap cycle the gun for next shot keeping head in position training for next target) for this gun and the difference cold bore between full pressure and proper cycle is just a matter of knowing your weapon. I believe the marketing is overselling the single shot feature and not really practical in any form. If your complaining about this you haven’t shot many automatic 308’s they drift always have, always will, up and to the left as the barrel gets hotter. Know your gun, use your brain make adjustments on the fly. The short thick barrel has the Ruger drifting on shot 4 or 5 of a short burst about 1 moa up and left and 1.5 MOA on shot 11 and it stabilizes around there. My suggest shoot your targets right to left and chase your drift into the swing for better scores. Dry firing yeah I would always like smoother and tighter trigger. Real firing no hiccups didn’t notice it good or bad. 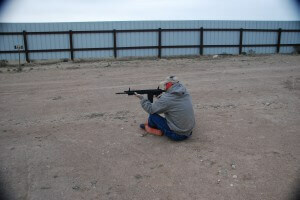 Trigger is a personal preference and the Ruger SR-762 allows for easy change to make it “your” rifle. Ammo is expense and I think writers are not shooting the guns enough. Learn that guns trigger break and life’s good. I believe the only trigger I have every complained about was Para-ordnance and Smith & Wesson’s cheap semi-automatic’s, but if your going to be a shooter that can go from a 1800’s Winchester to latest the market has to offer I suggest getting a feel for the gun in your hands. I like different sights than what Ruger is using as did most of the writers but I can also say I don’t like any of their recommendations and this is just a matter of your preference and probably shouldn’t be talking about them if you MOUNTED A SCOPE ON THE GUN(oops other guys). The railing system allows for so much variety that only complaint is you didn’t have the money for what you would prefer to use. I didn’t mount a scope on the rifle for the same reason I don’t mount them on M-14’s peeps work even at 500 yards. Its a 308 and the drop chart is very easy to remember. I liked the Ruger SR-762 because I like the M-14 rifle similar recoil pattern same drift, different magazines(I’m not letting go of that bone to pick). The gun is designed to perform, reduces the weight over the M-14 and balances better than any AR style rifle on the market. I would prefer a stock designed to absorb that style of recoil. All my peeves with this gun are a matter of taste and all addressable by aftermarket customizing, except magazines.